For nearly ten years, Real Rock Company has worked in the fabrication and installation of custom stone and Quartz countertops. Our company is founded on the principles of hard work, integrity, honesty and quality. Creativity and innovation, combined with technology and ability, are at the heart of our business. Every day we take pride in our workmanship, knowledgeable staff, and exceptional service, not to mention our highly-qualified custom fabricators and installers that make each job we complete a success. Whether you’re an expert in the design and construction industry or this is your first project … whether you chose Marble, Granite, Onyx, Limestone or Quartz , or man made Quartz … we can anticipate your needs and guide you step-by-step through the process. 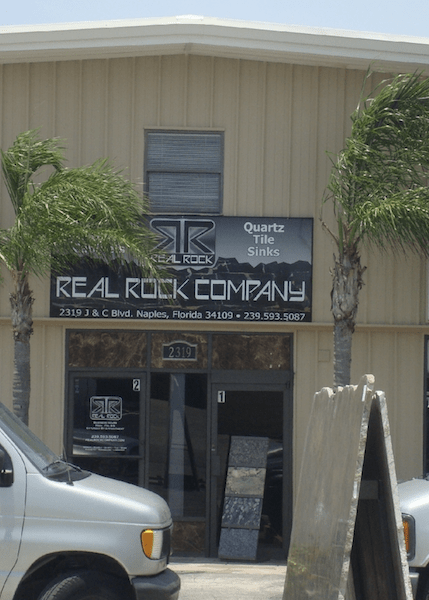 Real Rock Company will assist you with the correct selection of materials and design features that exceed your expectations and leave you completely satisfied.